Jason Kenney, the Canadian Citizenship, Immigration, and Multicultural Minister has just announced that the government is now activating the program using the recently redesigned permanent resident cards that were introduced back on August 24, 2009. “The new card contains security features that comply with international standards for travel documents. Technology is continuously evolving and it is important that our standards keep up,” Kenney added. There are a set of particular features that makes the new permanent resident cards standout. Among them is the card’s micro-lettering and fine line patterns, both of which make the cards difficult to counterfeit. In this way, they are features similar to those used for banknotes. Additionally, the cardholder’s photo and other details are recorded using a barcode that is generated using a special encryption protocol. This way, the card can only be recognized by authorized officials. Such features make the permanent resident card’s latest incarnation a formidable one. The card goes a long way towards securing Canada’s immigration system and protecting it from the actions of counterfeits hoping to make profits off the creation of falsified credentials. Those immigrants that become new permanent residents receive the card directly after they obtained an approved visa. Of course, for those who already have permanent residence, the next step will be to obtain a new card once their existing card has expired. 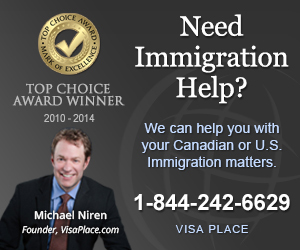 It provides a clear-cut policy concerning permanent residency in Canada. Citizenship and Immigration Canada also request that any of those people who have permanent residency status should check the expiration date on their existing card; if necessary, they should take the next step and apply for a new card well before they plan any sort of overseas travelling. The wallet-sized plastic card is required for all permanent residents of Canada who are seeking reentry into Canada by airplane, boat, train, bus or other mode of transportation.